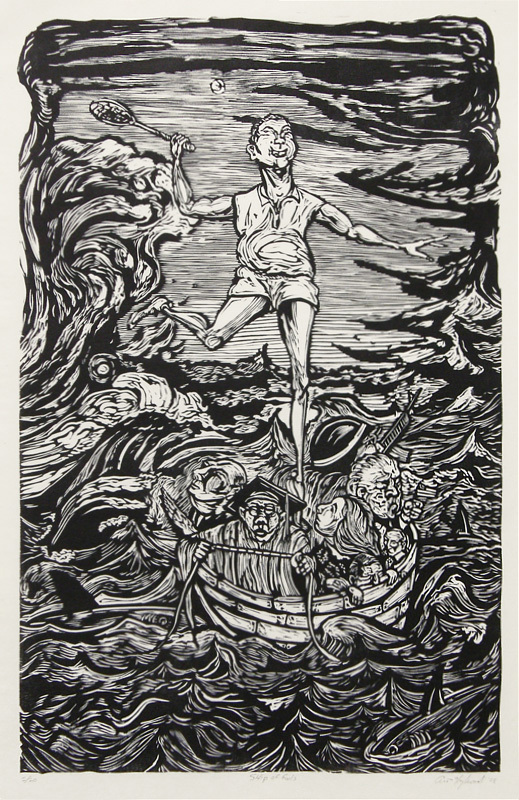 San Francisco based artist Art Hazelwood is a tour de force in the modern American printmaking world. Inspired by political upheaval both local and national, mythology, and his world travels, Hazelwood’s work relays an unbending, unblinking, unforgiving, and beautiful tribute to comedies of error in the world around him. Hazelwood began his studies at the University of California, Santa Cruz. After graduating in 1983, he traveled throughout the U.S. and Asia, and taught English in Tokyo for a year before returning to San Francisco in 1993. He became a member of the California Society of Printmakers, working as an assistant to artist William Wolff and others, cataloging their works and organizing retrospectives. This would become a continuing interest of his; he has since organized over 20 group exhibitions and curated shows for several individual artists. 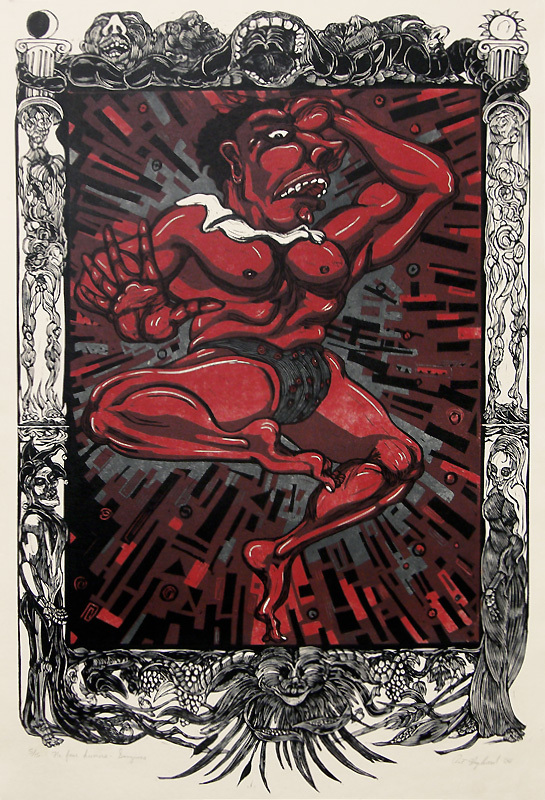 Hazelwood’s activism has also contributed to his oeuvre, having co-organized the Art of Democracy national coalition, producing more than 100 political posters and bringing together more than fifty political art shows, which took place all over the country leading up to the 2008 presidential elections. Much of his work reflects his work with homeless rights activism, and he has created several series dealing with the issues of societal problems, political unrest, and war. He does not hesitate to portray the attributes of war with tongue-in-cheek skepticism. 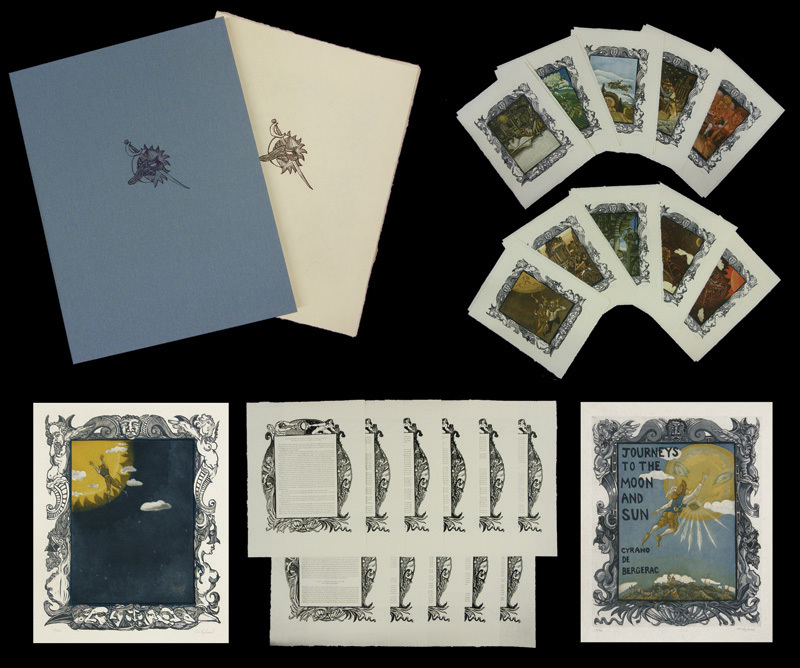 Using an innate sense of detail, and a willingness to focus on the more laborious aspects of the medium, Hazelwood uses bookmaking as a powerful form of artistic expression, as with his interactive ‘flip-book’ titled “Exit Iraq”, or referencing Greek mythology as analogous of modern folly, as with the accordion-fold book that reaches 9′ in length when hung: “Pulcinella in Hades” . In addition to bookmaking and printmaking, Hazelwood is a tile muralist, and in 2009 he completed two mural projects, one a memorial to homeless rights activist Arnett Watson, the other as part of a program to aid children of incarcerated parents at Visitacion Valley Middle School in San Francisco. 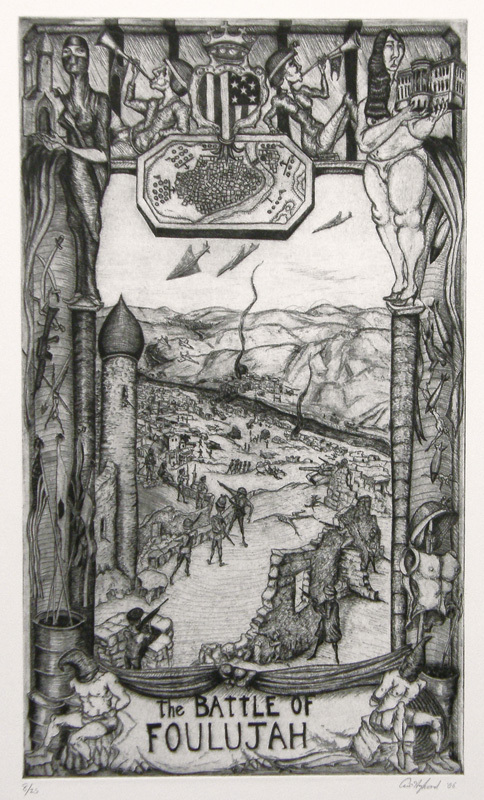 And though much of his work is influenced by his activism, there is the imagery he creates through his study of mythology, literature, and the every day. 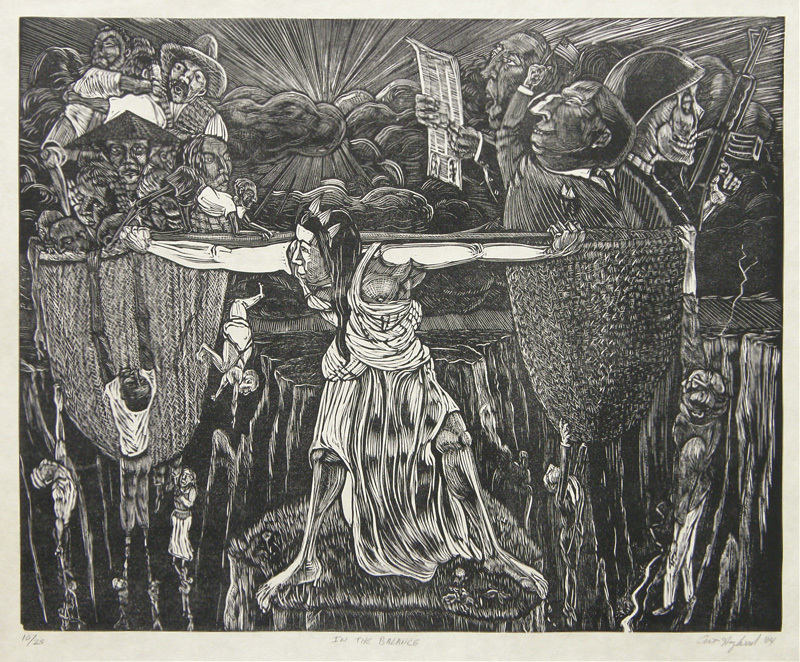 His work can be found in several collections including the Whitney Museum of Art, New York Public Library, Library of Congress, RSDI Museum, Stanford Special Collections Library, Yale Special Collections Library, and the Achenbach Collection. 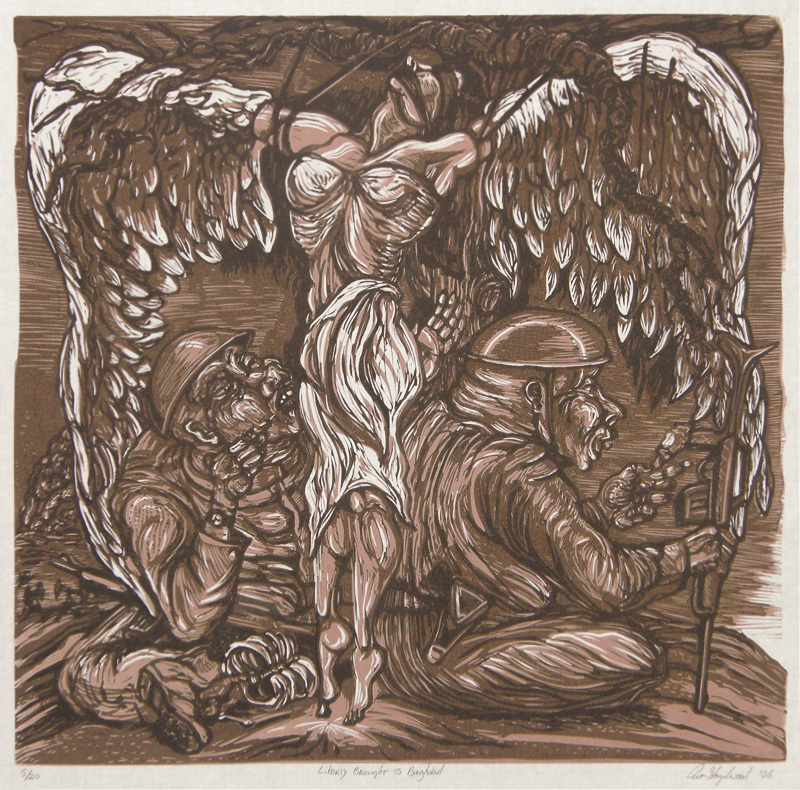 To view more of Hazelwood’s work, please visit our inventory of his works. thank you so much for the info on Hentschel. My dad bought about 12 of his works in Lexington about 20 years ago. We enjoy all of them.